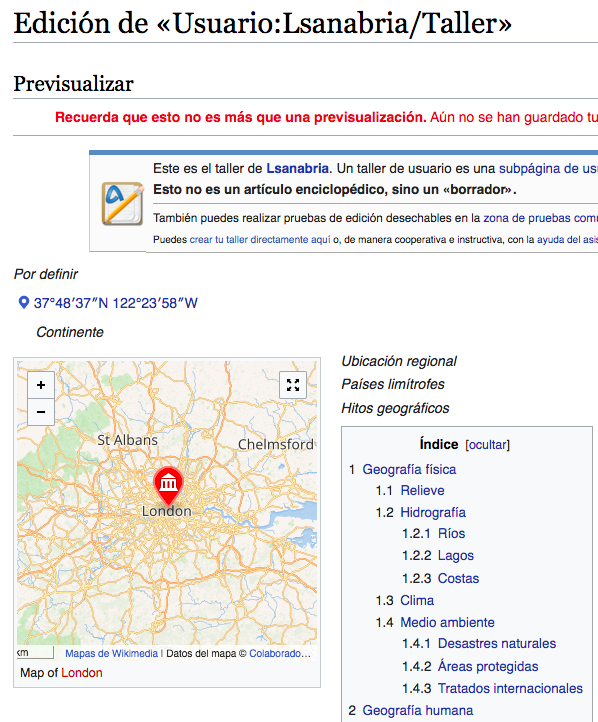 Please activate the <mapframe> label in eswiki. Jayprakash12345 moved this task from Backlog to Working on on the Wikimedia-Site-requests board. Scheduled for deploy in European Mid-day SWAT between 13:00-14:00 UTC at Monday. T161032#3122172 comes to my mind. Not sure if the Maps maintainers want to provide some feedback before deployment. Hi @Aklapper, thanks for the heads-up here. We've been following the discussion for mapframe to be enabled on eswiki over the last several weeks along with the discussion on enwiki and their corresponding ticket T175102. If the Spanish community wants to enable mapframe on their site, we'd prefer it to be done while the Maps team isn't on holiday (i.e. : today, Oct 9, 2017), but to be done while the full team is available to test the deployment and rollback if necessary. @Zoranzoki21: would you be ok with deploying this tomorrow during EU mid-day SWAT when the full Maps team can be available to test and rollback the deployment (if necessary)? debt moved this task from Backlog to In progress on the Maps-Sprint board. mapframe has now been enabled on eswiki, thanks for the help @Gehel! Thank you very much! Just one question. Do you know why it doesn't work on user space? 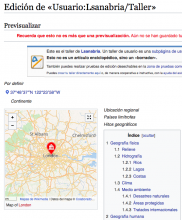 Hi @Lsanabria it looks like there is a small typo in your mapframe code. I tried to edit it but I haven't been able to publish the change successfully (not sure why). Sorry! You are right. Thank you a lot for checking! It is really appreciated.